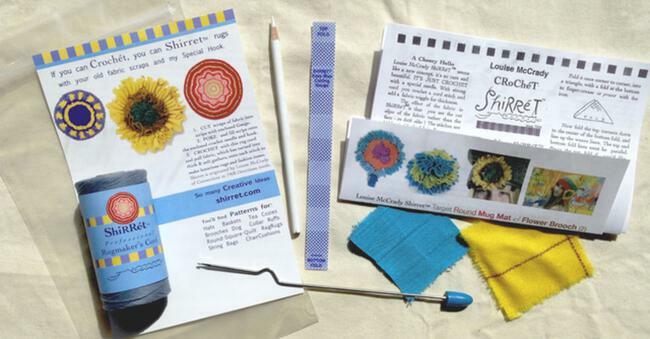 Our favorite Shirret tool kit comes with hook, fabric marking pencil, cutting gauge, crochet directions, carpet warp. This is the "original" stainless steel tool created and manufactured by the designer of these tools. We believe it is the finest on the market and the set is a complete ready-to-go starter package. Just add fabric. A basic Shirren rug hook and basic instructions for making shirred rugs. 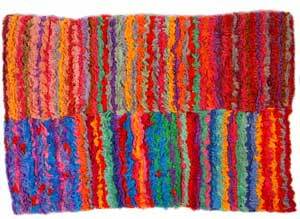 Shirred rugs are different from hooked and braided styles. 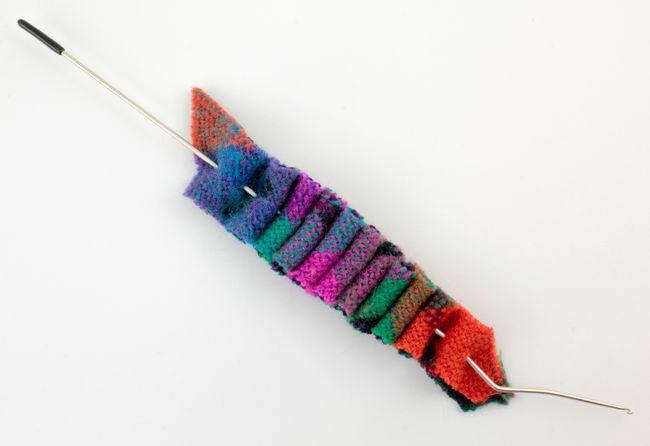 Strips of fabric are folded and joined at the center, with the strips standing on edge in the finished piece. The resulting rugs are thick and reversible. 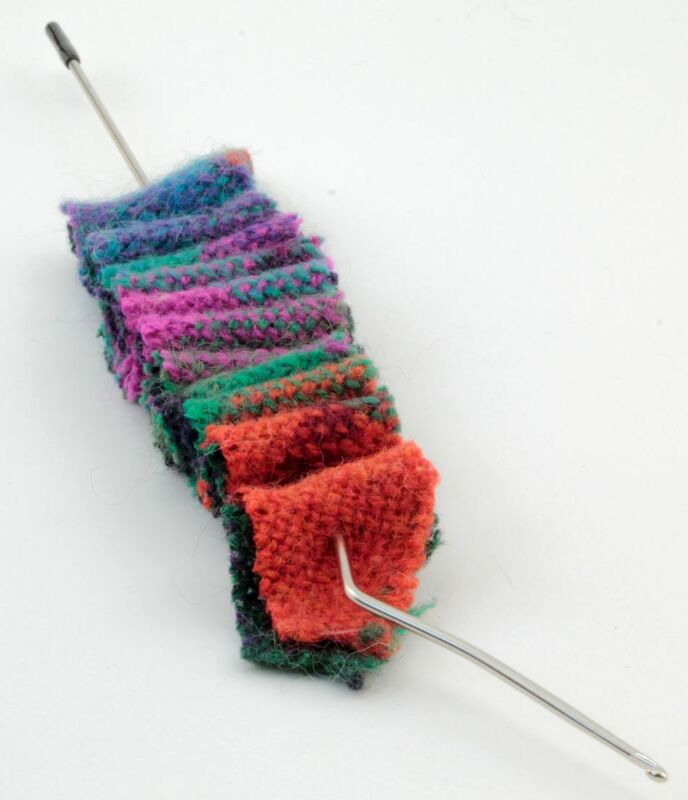 Aside from the hook, fabric strips of any length, and a strong cotton rug warp, no other supplies are necessary. Steel with stop and instructions is 14" long. 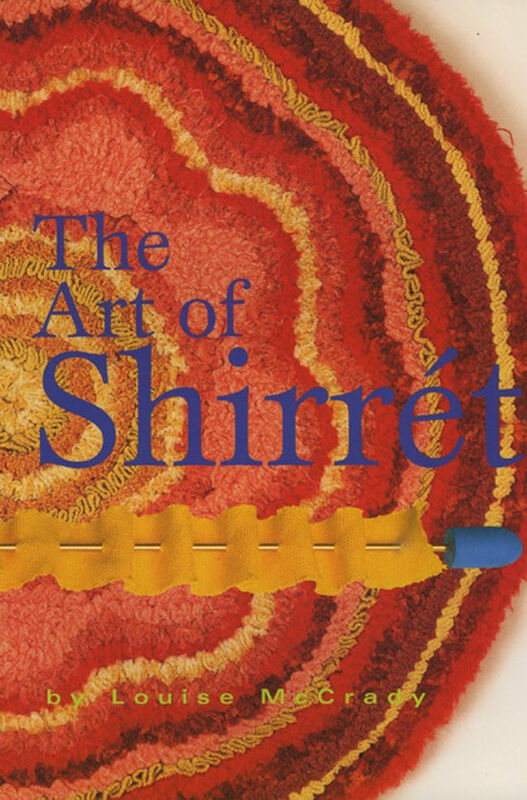 Shirret/shirren is a unique crochet inspired hobby which costs next to nothing and yet produces gorgeous heirloom items that will endure for generations. 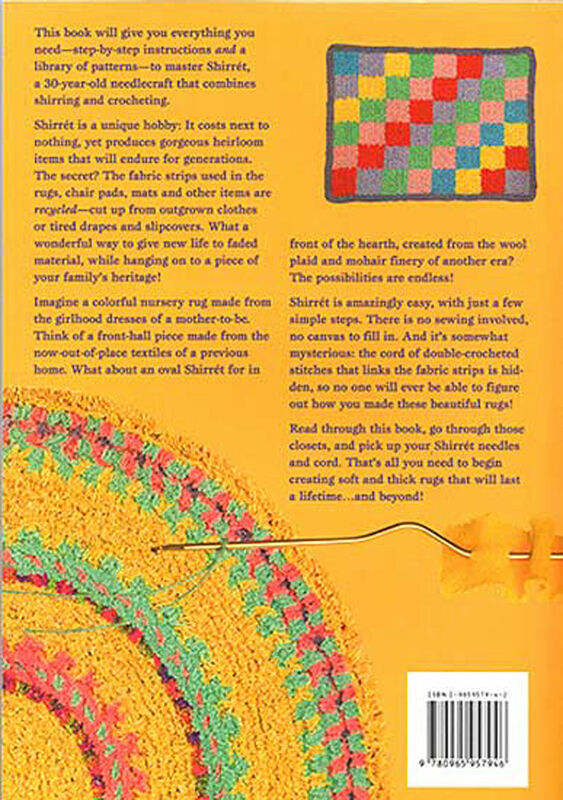 This book will give you step-by-step instructions and a library of patterns to master Shirret, a 30 year old needlecraft that combines shirring and crocheting. Written by the originator of the technique. Learn from the creator.